Early in February, Lady Gaga made headlines for her performance at Super Bowl LI. Many criticized the pop icon for not being political enough in light of Trump’s then-recent immigration ban during her halftime performance at the game between the New England Patriots and the Atlanta Falcons. Others noted that her rendition of Woody Guthrie’s “This Land Is Your Land” was a nuanced political statement in and of itself. Later in the month, Gaga again made headlines when it was announced that she would fill in for Beyoncé’s headlining performance at Coachella after the Lemonade singer had to pull out of the festival because of her pregnancy. Now, Lady Gaga has made national news for the third time this year, recusing herself from her own substitute Coachella performance in a conspicuous political statement. A noted advocate for gay rights, Lady Gaga has pulled out of the festival because of ties between Philip Anschutz – the owner of AEG, Coachella’s parent company – with anti-LGBTQ+ groups. The replacement for Coachella’s Saturday headlining replacement, however, is a momentous one. 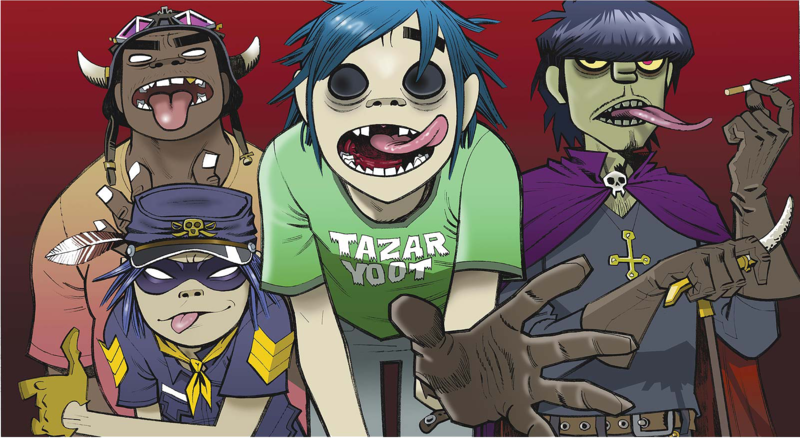 Reportedly, Damon Albarn and Jamie Hewlett’s legendary virtual band, Gorillaz, will take Lady Gaga’s place. Their performances at the festival, to be held on April 15 and 21, will supersede the group’s July performance at Festival d’été de Québec as their first North American appearance in seven years. Some have speculated that Gorillaz’s replacement of Lady Gaga is an elaborate marketing scheme for their forthcoming Humanz album. Such individuals cite the fact that Lady Gaga’s acceptance of the Coachella slot came almost two months after allegations against Anschutz arose, as well as the fact that the Coachella dates fall right before the April 28 release date of Humanz. Regardless of whether or not the Gorillaz-Gaga replacement is a promotional ploy, the group’s American live reunion comes as exciting news to their legions of fans. Of course, Gorillaz are not without political statements of their own. A spokesperson for Damon Albarn has confirmed to Dancing Astronaut that the group will include a hologram of Harambe during their Coachella set, in defense of animal rights.